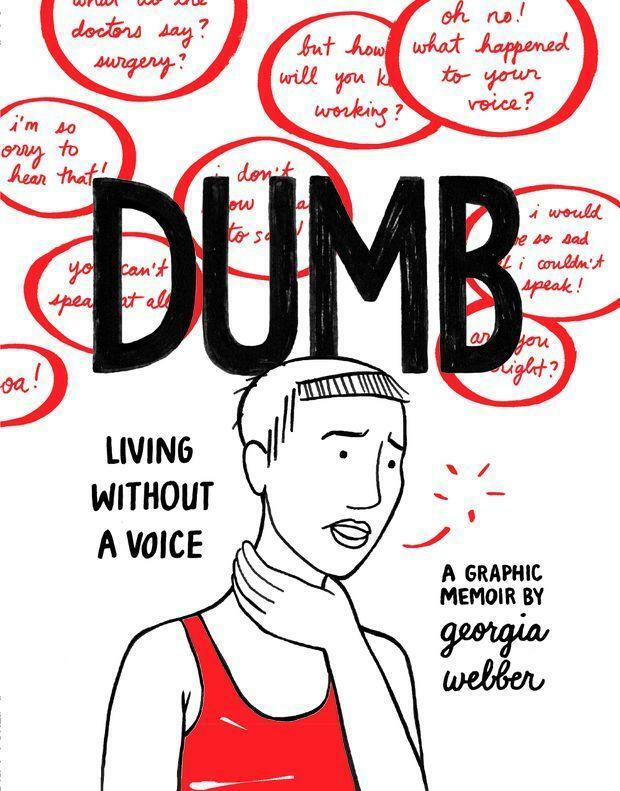 Part memoir, part medical cautionary tale, Dumb tells the story of how an urban twentysomething copes with the everyday challenges that come with voicelessness. Webber adroitly uses the comics medium to convey the practical hurdles she faced as well as the fear and dread that accompanied her increasingly lonely journey to regain her life. Her raw cartooning style perfectly captures her frustration and anxiety. But her ordeal ultimately becomes a hopeful story when she learns to lean on the support of her close friend and finds self-expression in creating comics.